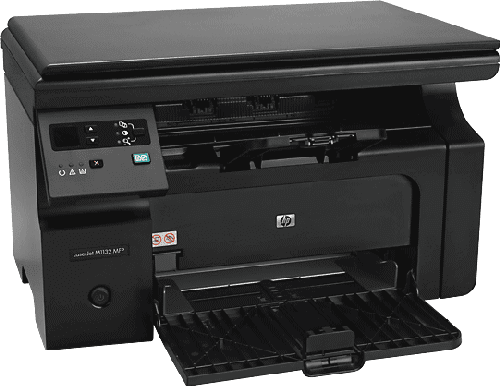 HP LaserJet Pro M1132 MFP - Print, Scan, Copy!!! If you would like to buy a laser printer, I will recommend you to purchase HP LaserJet Pro M1132 MFP. With this device, you can print and scan your necessary documents. You can also use this device as Mini Copier! I mean, you can use this device to copy documents without connecting it to a PC - this is really cool! More than 2 years ago, I purchased a color printer costing $ 60 - Epson T13. It was running smoothly. But it was unused for few weeks. Consequently, the printer head was damaged. Then I repaired it costing $ 50. Couple of weeks ago, it was damaged again. Then I've decided - no more InkJet printing! When I went to my dealer for buying a duplex printer and scanner, he advised me to purchase HP multifunctional printer. Since this device has both copy and scan facilities, I haven't purchased the duplex printer. Yesterday, I purchased HP LaserJet Pro M1132 MFP costing more than $150. Supported Paper Sizes - Letter Size, Legal Size, A4 etc. For more specifications, follow this link . . .
Automatic duplex printing is not supported! Scan quality is not 100% satisfactory. At the left side of the printer, just above the power button, you have a control panel. With this panel, you can increase or decrease the amount of ink. And you can also increase and decrease the print size and set the number of copies. By default, the control panel display is fixed with the printer body. But you can fly this out by pulling. If the Driver CD is Lost? After visiting the above link, you will get your operating system selected automatically. Or you can choose a different operating system. Then download your driver. Adobe Photoshop is a widely accepted tool for working with photos and images. For better printing and viewing experience we save images with high quality and resolution. And it makes the image large in size. If you use heavy images in website, blog or social networking sites, that causes the site to load slower. But you can easily optimize the images before uploading without sacrificing quality! 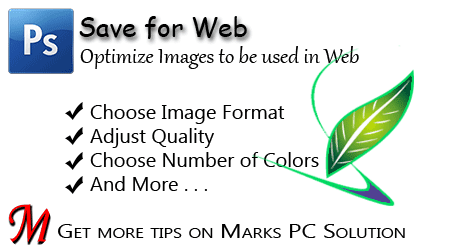 Today I'm gonna write about the Save for Web option of Photoshop. With this saving option, you can optimize your images. You can also reduce the size of those images which are unnecessarily large. And definitely optimized images will save internet bandwidth as well as time. And if you're a site owner, you must practice using optimized images on your site. If your site loads faster, you will get more traffic. And always keep in mind - slower sites are always boring for the users and thus they can't retain visitors. 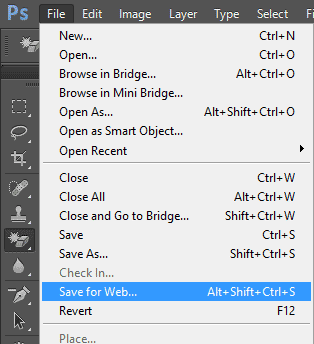 This saving option (Save for Web) is available in all running versions of Adobe Photoshop. As mentioned earlier, with this option, you can save an image optimized for web in terms of quality and quantity. To use the Save for Web option, you must come with a photo/ image. Remember, I'm gonna talk about the saving option only. So, you must practice with a complete image. I'm not gonna discuss how to modify it. Of course you can adjust your project image from Image menu. You can adjust image size, tone, contrast etc. Open your desired image using Photoshop. Go to the File menu and choose Save for Web option. A new window will appear. Make sure the Optimized tab is selected. At the right side you will get some preset settings. Test them one by one. And look at the bottom of your picture for image size. Just below the preset, you will have image formats - GIF, JPEG, PNG etc. Pick a format which gives your image a better look with lower size. And you should mark the Convert to sRGB check box. Try each option by yourself. You must focus both on image quality and file size. Before saving the image, you can hit on the preview button just at the bottom of the window. The most widely used image format all over the world. JPEG is an image format which is supported by everywhere. If a website supports only one image format, definitely it will be JPEG. If a device can display only a single image format, it will be JPEG. So, you can easily understand how popular it is. PNG is a very common format for saving icons or logos. It's also great for saving pictures with transparent background. PNG produces much better quality than GIF or JPEG. That's why I prefer PNG format. So, I suggest you to use PNG 8. Because PNG 24 will save your image normally without any optimization. 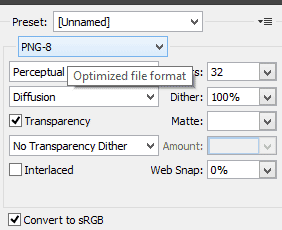 And don't forget to mark the option - Convert to sRGB. You can also compare your image in different formats. At the top of the Save for Web window, the optimized tab is selected. That means you're viewing optimized image. The next tabs are 2-up and 4-up. If you choose 2-up, your picture will be shown side by side. Or you can choose 4-up to get 4 views of your picture. Now choose the first picture. This will be original. Hit on the second one and choose GIF format. Hit on the third one and choose JPEG. Hit on the fourth one and choose PNG 8. Now you can compare the 4 views. Check which one is better in quality and lower in size. Select one which is better. And then save the picture. The original format of the above image is PNG (without optimization). And its size is 555 KB. When it's saved in GIF format, the size becomes 24 KB only! If I choose JPEG, it becomes 80 KB. And in PNG-8, it is 21 KB. Of course the file size may vary depending on the number of colors, Amount of Dither, Web Snap etc. When your image contains only a single color or few colors (Ex- Red, Yellow or Black), don't use JPEG or GIF. Because PNG can save it within few KBs. And the quality will be much better. If your image is too much colorful (contains numerous colors), you can use JPEG format to keep the file size lower. GIF stands in the middle of JPEG and PNG in terms of image quality. Depending on image type, the size of GIF and JPEG image varies. JPEG and GIF can't produce as better image quality as PNG. If you want better quality image (No matter whatever the size is), save your picture as PNG. If you use PNG 8 in case of image with gradient color, the quality of gradient part will deteriorate. In that case, you may choose PNG 24. Photoshop CS6 performs better than CS5 in case of optimizing images. It's such a big post - more than 1100 words! If you're new in Photoshop, you may think this is something critical. But I can swear, if you practice Save for Web option for few days, you will find it very easy and interesting. Don't forget to leave a comment . . . Most of you may think that MS Word has no free drawing tool like Photoshop or Illustrator. But you're wrong! Word has also a free drawing tool named curve which you can use just like Photoshop Pencil Tool. 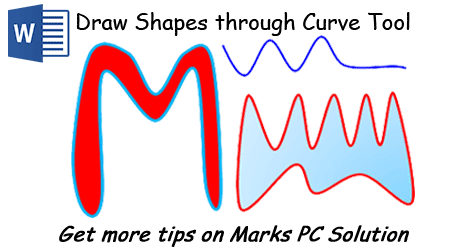 With curve tool, you can draw shapes freely. Where do I find Curve Tool? In fact, Word doesn't consider curve as a tool. 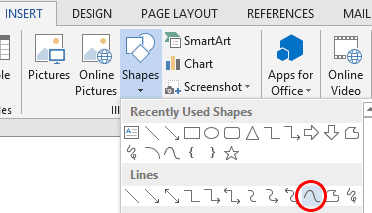 Though it's a drawing tool, Word names it as a shape. You will find the curve in the Shapes. Insert Tab > Illustration Section > Shapes > Curve . It's very handy to use the curve tool. To use the tool, run MS Word. Then choose curve from the shapes. After choosing the curve tool, click anywhere of your document to start drawing. Move your mouse to the left, right or top from the starting point. Click left mouse button where you wanna turn around. If you would like to stop drawing and keep the shape open, simply click twice. If you wanna keep the shape close, simply click on the starting point. How to Edit the Shape? You can also edit the shape made by curve tool. After drawing the shape, if you think that you need to change the shape a little, you can edit the points of that shape. While drawing the shape, you clicked mouse several times. Those clicks are shape points. 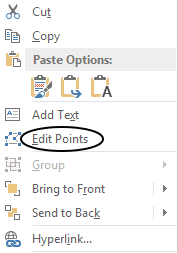 If you would like to edit the shape points, right click on that shape and choose Edit Points option. Now you will see the points. Click on the points and adjust them by dragging. After creating the shape, you can design it like other shapes. You can choose different fill color, outline or give it special effect from the Format tab. Hope you have understand today's topic properly. If you have any query, please leave a comment . . .
Windows Secure Logon offers an extra layer of security for your PC. 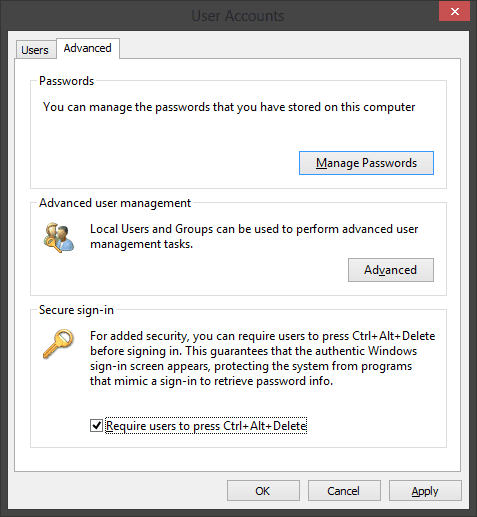 If you enable secure logon, every time when you start your PC, you have to log on by pressing Ctrl+Alt+Delete. When secure logon is enabled, other programs ie. a virus or spyware can't seize your username and password. Now you will get User Accounts window as shown below. Move to the Advanced tab. Look at the Secure sign-in section. Check the option - Required users to press Ctrl+Alt+Delete. Now Apply > OK. Done! From now, you have to sign in by pressing Ctrl+Alt+Delete. If your account is protected by password, then you have to enter it. In my previous post I wrote about - how to disable lock screen. If you disable lock screen and enable secure logon, then it will be a funny scene to see. You will just see user tile without any background. So I think, if you enable secure logon, you shouldn't disable lock screen. And if you feel any difficulty or have a query, don't forget to leave a comment . . . Lock screen looks cool when you're in a tablet PC. But if you're a busy person with laptop or desktop computer, probably it will make you bore. Same thing happens to me. 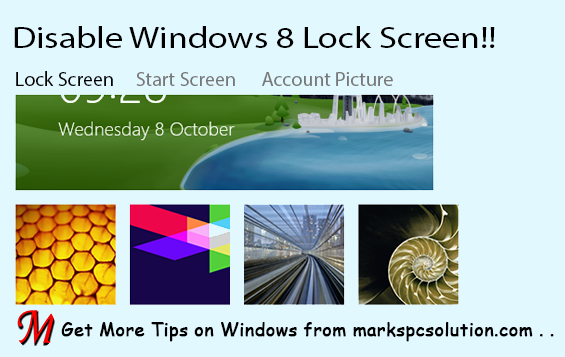 That's why I'm gonna write about how to disable lock screen in Windows 8. 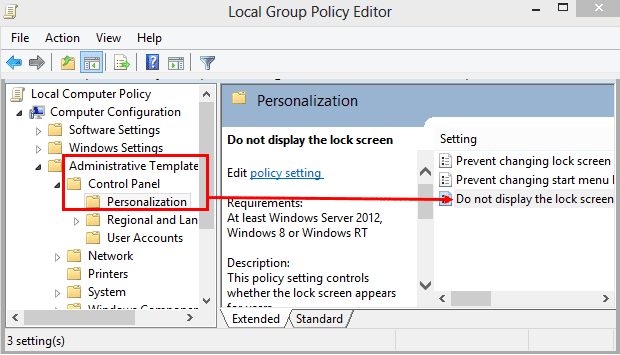 You can easily disable the lock screen from Group Policy Editor (gpedit.msc). Once disabled, the lock screen will not be shown when you start up your Windows! And certainly this will save you few seconds. Collapse Administrative Templates under Computer Configuration. Collapse Control Panel and choose Personalization. Click twice on Do not display the lock screen. Select Enabled > Apply > OK. Done! If you'd like to get your lock screen back, simply follow the above steps again. And at the last step choose Not Configured or Disabled option to get it back. If you face any problem regarding lock screen, don't hesitate to leave a comment . . .
HDDB - Real Time Search Tool for your PC!! Do you ever rely on Windows Search to find files/ folders. To be honest - I don't! The search capacity of Windows XP is poor. Windows 7 users might have a better experience. But it's really difficult to find something on Windows 8. 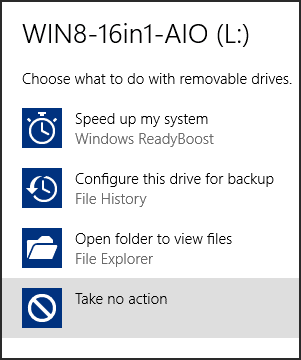 Because your drives are not automatically indexed by Windows 8! More than 2 years ago (March 27, 2012), I discussed about Everything Search - a third party search tool for Windows. This tool is awesome to find something on your PC. Next year (February 15, 2013), I wrote about how to index drives to search files faster in Windows 8. 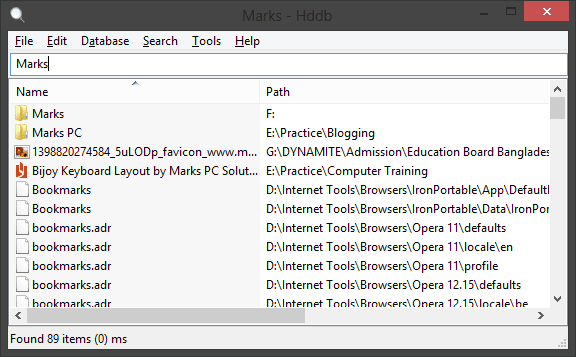 And today (Ocrober 7, 2014), I'm gonna share another search tool with you. It's HDDB - Hard Disk DataBase. It's almost similar to Everything Search except few changes. It's Portable - you never need to install! Download HDDB. It's 100% safe and ad free link. Double click on HDDB 1.4 to run it. It will ask you to build database. Hit on the Yes button. Within few seconds, all files of your hard disk will be indexed. Now type anything to search. You will get this as soon as you type! 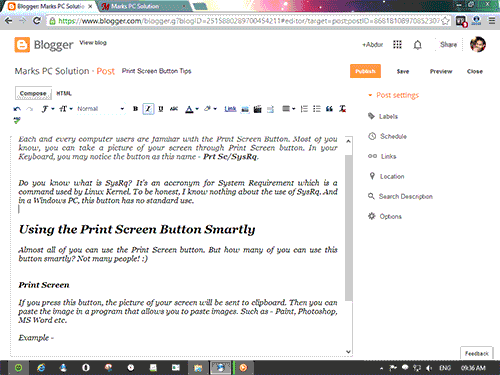 Each and every computer users are familiar with the Print Screen Button. Most of you know, you can take a picture of your screen through Print Screen button. In your Keyboard, you may notice the button as this name - Prt Sc/SysRq. Do you know what is SysRq? It's an acronym for System Requirement which is a command used by Linux Kernel. To be honest, I know nothing about the use of SysRq. And in a Windows PC, this button has no standard use. If you press this button, the picture of your screen will be sent to clipboard. Then you can paste the image in a program that allows you to paste images. Such as - Paint, Photoshop, MS Word etc. Example - I pressed the Print Screen button and paste the image in Photoshop. Now you can see the picture of the whole screen including task bar. Suppose you don't need the whole screen. You just need the picture of your currently running screen or program. In that case, you can press Alt + Print Screen button. 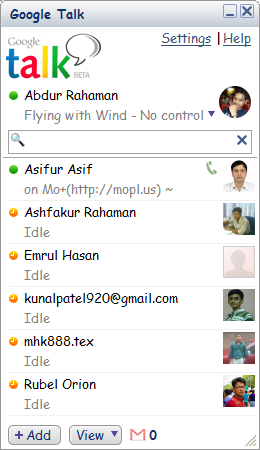 Example - I've just opened Google Talk. Then pressed Alt + Print Screen and then paste it in Phtoshop. Only the picture of Google Talk has been pasted there. Almost do the same job as Print Screen. But this time you don't need to paste the image anywhere. 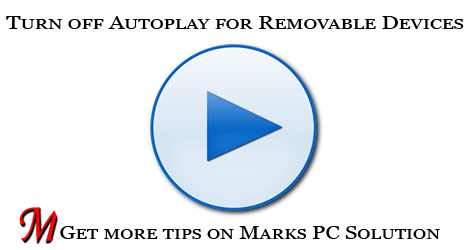 If you press Windows + Print Screen button at the same time, your monitor will blink for a moment, the image of your full screen will be saved in your picture folder automatically. Just go to My Computer > Then hit on the Pictures from Left Panel > Now you will get a folder named Screenshots > All pictures taken by Windows + Print Screen button will be saved here. Let's Try Windows 10 !!! Hello Guys! You should remember, couple of weeks ago I wrote - Windows 9 Preview is on the way. Yes, everything is okay except the name. Microsoft has skipped Windows 9! 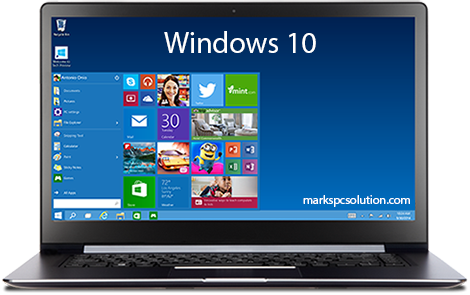 On 1st October, Windows 10 Technical Preview has been released by Microsoft. 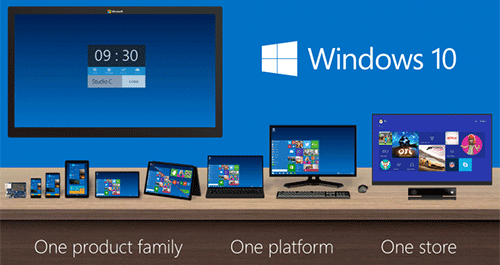 And this version of Windows will work with all devices! It's very natural and common problem. Because I couldn't download the file at a time. The download was interrupted several times. And one of the files was missing. Find your necessary version of Windows and download it from this page. If you're required to sign in, use your hotmail or live account. Burn the ISO file to a disk or to a usb flash drive. 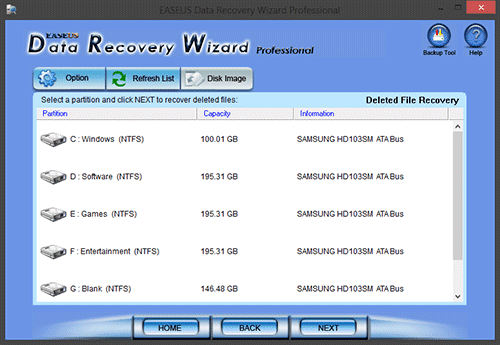 Back up your necessary files from currently installed Windows directory. Now you can start installing Windows. Traditional Start Menu is back (Live tiles are still available). Modern Apps work in desktop mode. Apps will be snapped like frequently visited pages saved in a browser. You can create Multipe Desktops as we can see in Android mobile sets. File search is much faster. 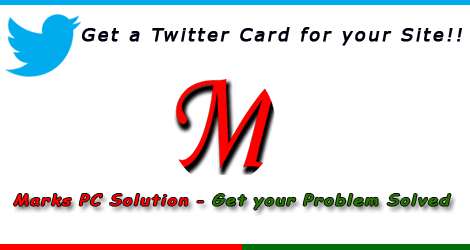 Get a Twitter Card for your Site! Do you know Twitter let you attach photos with your tweets? If you have a blog or website, you can make a card for it. And when you share your URLs on Twitter, that card will appear with your tweets! All you need to do is simply add an HTML code on your site. In my previous post, I discussed about Facebook Open Graph. If you've already implemented Facebook Open Graph on your site, then creating a Twitter Card will be much easier for you. Because, Facebook Open Graph an Twitter Card is almost similar. Now get the code from there. Change it where necessary. Add the code in your site's HTML. Test your home page URL through Card Validator. Now tweet your site's link and your card will appear below the post! This is exactly the same code which I'm using for my site. You just need to change in the content option. And you must create an image for the card and upload it to a server. Then share the URL in the image meta. Twitter has provided a complete integration guide for twitter card. That's why I'm not gonna discuss about the code integration. Simply follow this URL for code integrtion. If you need any other help, please knock me . . .